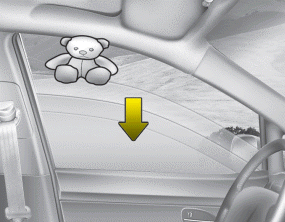 In cold and wet climates, power windows may not work properly due to freezing conditions. The ignition switch must be in the ON position for power windows to operate. Each door has a power window switch that controls that door's window. 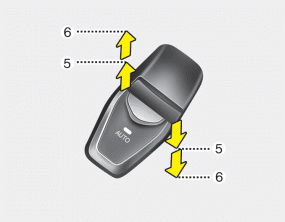 The driver has a power window lock switch which can block the operation of passenger windows. The driver’s door has a master power window switch that controls all the windows in the vehicle. 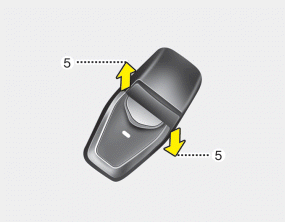 The power windows can be operated for approximately 30 seconds after the ignition key is removed or turned to the ACC or LOCK position. However, if the front doors open, the power windows cannot be operated within the 30 second period. While driving with the rear windows down or with the sunroof (if equipped) in an open (or partially open) position, your vehicle may demonstrate a wind buffeting or pulsation noise. This noise is a normal occurrence and can be reduced or eliminated by taking the following actions. If the noise occurs with one or both of the rear windows down, partially lower both front windows approximately one inch. If you experience the noise with the sunroof open, slightly reduce the size of the sunroof opening. To open or close a window, press down or pull up the front portion of the corresponding switch to the first detent position (5). Pressing down or pulling up the power window switch momentarily to the second detent position (6) completely lowers or lifts the window even when the switch is released. To stop the window at the desired position while the window is in operation, momentarily pull or push the switch in the direction opposite of the window’s movement. 2. Close driver’s windows and continue pulling up on the power window switch for at least 1 second after the window is completely closed. If the upward movement of the window is blocked by an object or part of the body, the window will detect the resistance and will stop upward movement. The window will then lower approximately 11.8 in. (30 cm) to allow the object to be cleared. If the window detects the resistance while the power window switch is pulled up continuously, the window will stop upward movement then lower approximately 1 in. (2.5 cm). 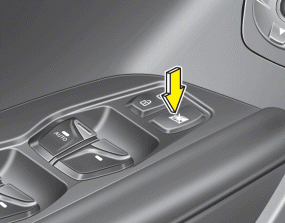 If the power window switch is pulled up continuously again within 5 seconds after the window is lowered by the automatic window reversal feature, the automatic window reversal will not operate. The automatic reverse feature for the driver’s window is only active when the “auto up” feature is used by fully pulling up the switch. The automatic reverse feature will not operate if the window is raised using the halfway position on the power window switch. Always check for obstructions before raising any window to avoid injuries or vehicle damage. If an object less than 0.16 in. (4 mm) in diameter is caught between the window glass and the upper window channel, the automatic reverse window may not detect the resistance and will not stop and reverse direction. 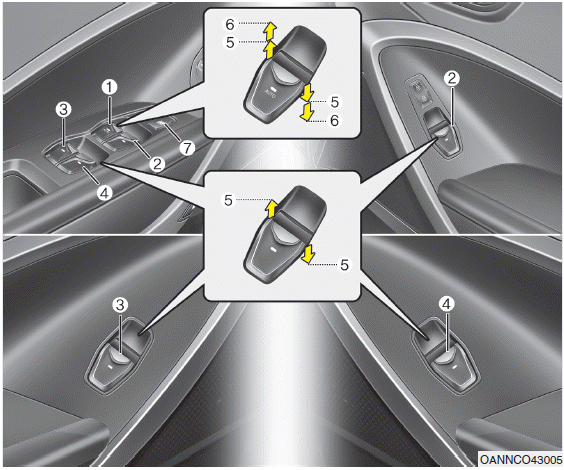 The driver can disable the power window switches on the rear passenger doors by pressing the power window lock button on the driver's door to the LOCK position (pressed). Even though the power window lock button is in the LOCK position (pressed), the driver's master control can operate all power windows. To prevent possible damage to the power window system, do not open or close two windows or more at the same time. This will also ensure the longevity of the fuse. Never try to operate the main switch on the driver's door and the individual door window switch in opposing directions at the same time. If this is done, the window will stop and cannot be opened or closed. NEVER leave the ignition key (or smart key) in the vehicle. • NEVER leave any child unattended in the vehicle. Even very young children may inadvertently cause the vehicle to move, entangle themselves in the windows, or otherwise injure themselves or others. Always double check to make sure all arms, hands, head and other obstructions are safely out of the way before closing a window. Do not allow children to play with the power windows. Keep the driver’s door power window lock switch in the LOCK position (depressed). Serious injury can result from unintentional window operation by the child. Do not extend any head or arms outside through the window opening while driving.